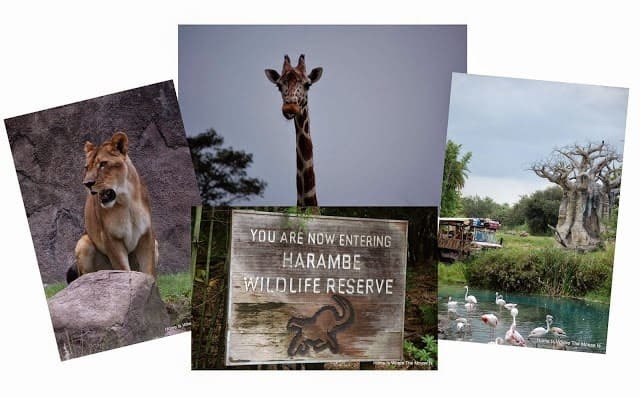 While today is Earth Day, you can be a Conservation Hero at Disney Parks all year long by making a contribution to the Disney Worldwide Conservation Fund. 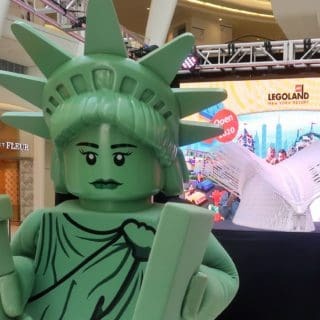 You may have been asked at gift shops or hotels if you’d like to contribute to the fund, but do you know what it is all about? Founded on Earth Day 1995, the Disney Worldwide Conservation Fund is a non-profit organization aimed at making the world a better place for future generations. It encourages children to become lifelong conservationists. In addition, the fund focuses on the protection of animals and their habitats. 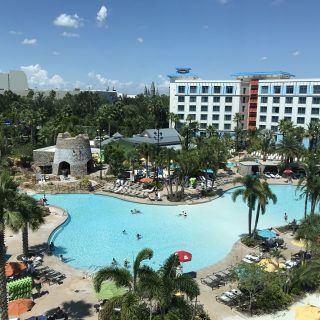 Funding is received from the Walt Disney Company and guests of Disney Parks and resorts, as well as Disney Cruise Line. 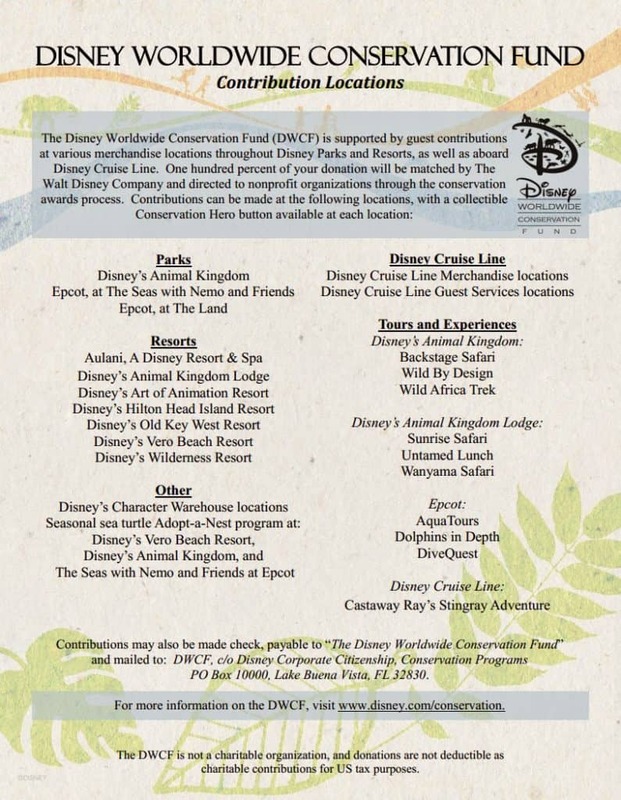 At select locations within the Parks and Resorts, and on Disney Cruise Line, guests can make a contribution by adding on a donation of at least one dollar to their merchandise purchase. 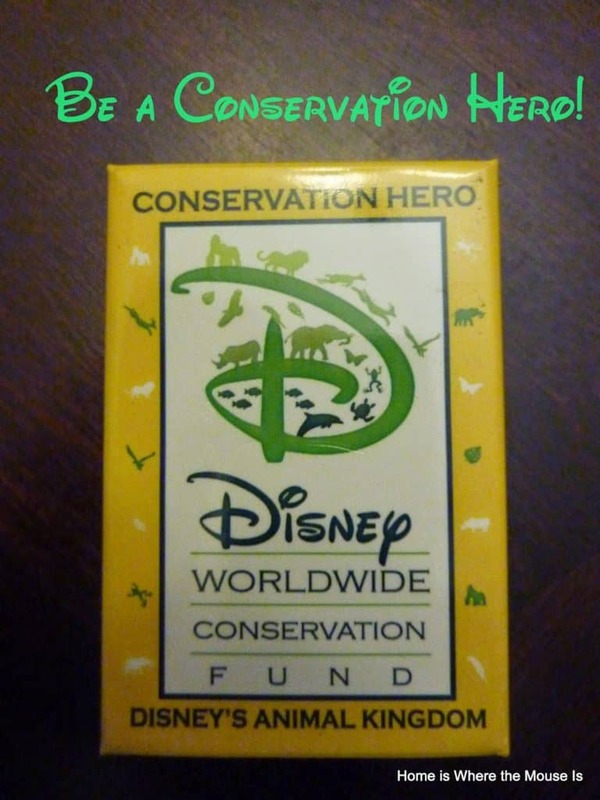 In return guests will receive a Conservation Hero button. The Walt Disney Company will match 100% of your donation. Guest can also contribute to the fund through the purchase of reusable bags and other selected merchandise. In addition, a portion of the proceeds from tours involving animals is contributed to the fund. Donations can be made at the locations listed below. The list also shows which tours and experiences contribute to the fund. Each location has its own unique collectible Conservation Hero button. There are many different versions to collect. 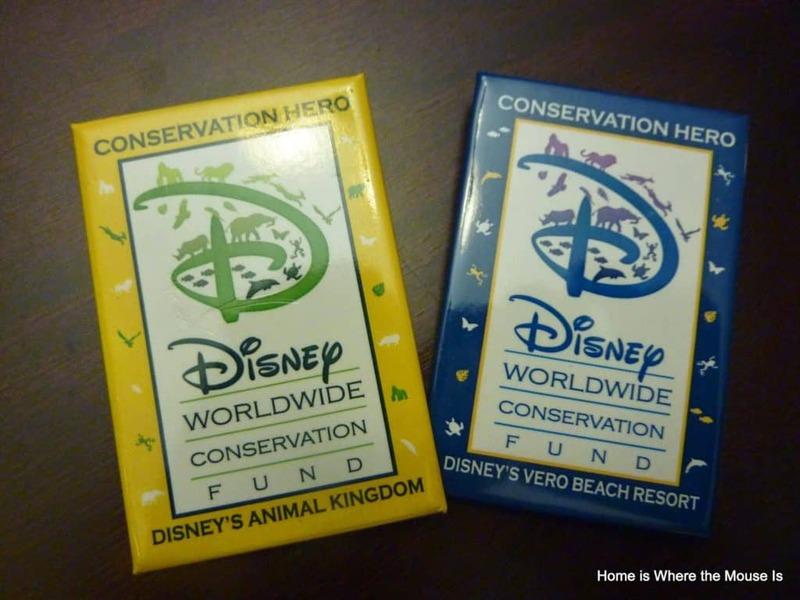 These are 2 we received when we made a donation at Disney’s Animal Kingdom and Disney’s Vero Beach Resort. Fun Fact: Have you ever wondered where the money from pressed pennies and fountains winds up? 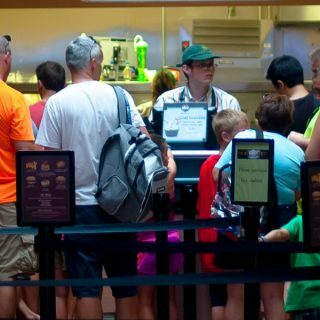 The monies collected from the machines and fountains is also donated to the Disney Worldwide Conservation Fund! 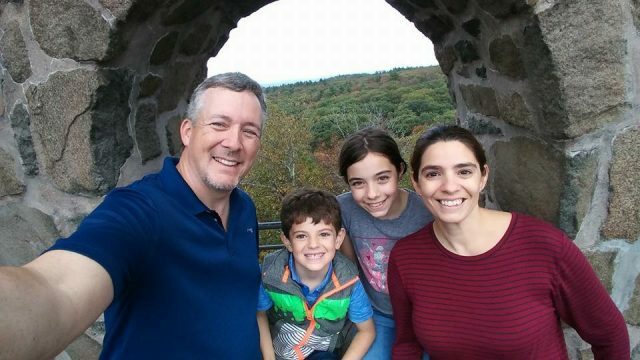 So whether it’s Earth Day or any other day, know that when you contribute to the Disney Worldwide Conservation Fund, you are truly making a difference for generations to come. I love my Conservation button collection. One of my favorite WDW souvenirs. We always have to get one or two of these, we love buttons and supporting a great cause.